Thanks to my dry, temperamental skin that often suffers from flare-ups of sensitivity, I'm really particular when it comes to moisturiser. I need one that's rich, nourishing and gentle, but I don't want it to clog my pores, disrupt my makeup, aggravate any irritation or be too simple. Basically, I'm a hard girl to please, so I tend to stick with a few trusted favorites and rarely try anything new. However, I recently decided to throw caution to the wind and try the Dr Jart+ Ceramidin Cream, after hearing that so many bloggers and skincare experts had given it their seal of approval. Korean skincare is a serious business - they take their complexion customs to the next level in the quest to achieve a flawless complexion. Slowly, the rest of the world have started to catch on and incorporate their innovative techniques and products into their routines, too. Dr Jart+ is one Korean brand that has made waves in the west and has a vast range of skincare saviors on the market in the US. 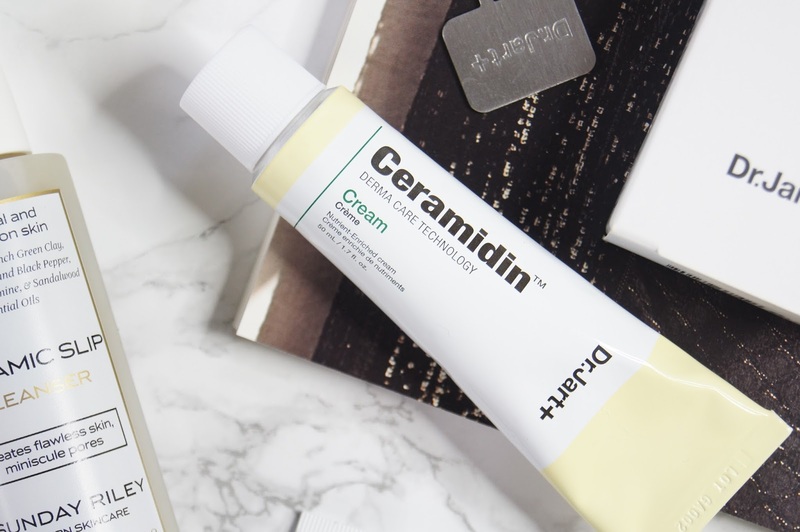 Although their Ceramidin range has been around for years, it's only recently that it seems to have had a surge of interest due to it becoming available here in the UK. Dr Jart's Ceramidin line is focused around using micro-capsule ceramides to effectively hydrate and repair the skin. Ceramides are lipids which essentially hold skin cells together like glue, to keep the skin plumped and prevent moisture loss. Just like collagen, they're found naturally in the skin, but levels deteriorate over time. 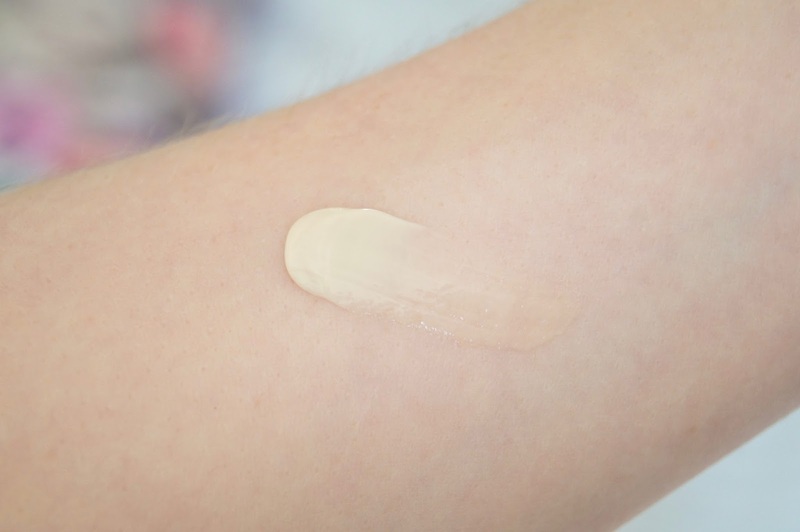 By using products that contain ceramides, like this moisturiser, you're able to replace the lipids lost from aging, environmental aggressors and using drying products. The range includes a variety of moisturisers that offer differing levels of nourishment for each skin-type, but I opted for the Ceramidin Cream. 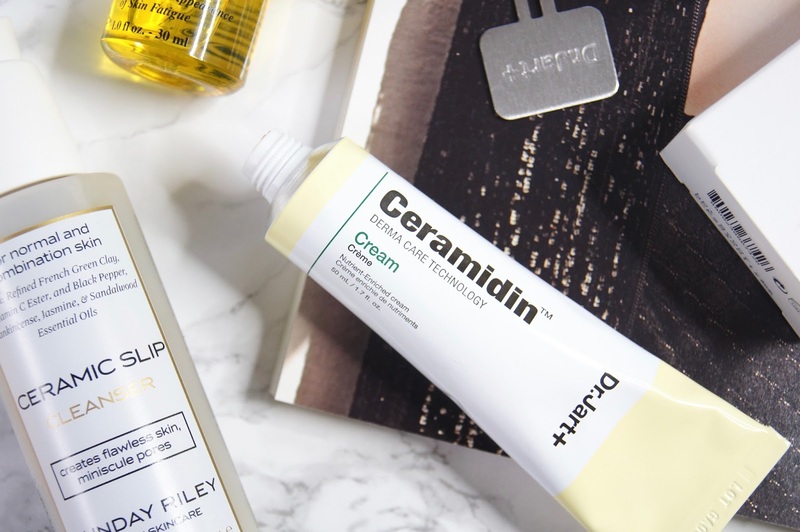 I'm going to make a bold claim here - Ceramidin is the best moisturiser I've ever used and this is the most enthusiastic I've been about a product in a long, long time. I can already tell that it's going to be a keeper that's firmly cemented into my stash for as long as it's available. It's also on track to becoming my top skincare discovery, even beauty discovery, of 2017. I only wish I'd heard about it sooner! Honestly, I've never tried a moisturiser like this one before. The texture is so lush - it's silky smooth and seriously nourishing, yet doesn't feel heavy. It starts off as a super thick, rich creme but just melts on to the skin and envelops it in a comforting layer of goodness. Despite offering a generous dose of moisture, it doesn't feel tacky or greasy and it layers really well, without bunching up and peeling off as you apply more. It doesn't sink in completely after application, which anyone with a dry skin-type will appreciate, as that provides a barrier from the elements and stops thirsty skin from drying out even more. Thanks to the ceramide-rich formula, it provides time-release moisturisation, which keeps the skin hydrated all day. It gives a gorgeous, dewy glow to the skin that I adore when I'm going makeup-free. Even though it provides no coverage whatsoever, it has this perfecting effect that I can't quite explain - you just have to try it. This moisturiser has been my saving grace when my skin has needed to heal. For anyone with seriously dry, even eczema-prone skin, Ceramidin is the product to turn to. As it contains so many ingredients aimed at soothing the skin, like Aloe Vera, Licorice Root Extract and Panthenol, the concentrated cream feels instantly cooling on application and calms irritation. My redness isn't exacerbated whatsoever and it doesn't sting when I massage it over any areas that can be sore, if I've had a flare-up of sensitivity. It totally transformed a couple of flakey patches I had around my eyes in just a couple of days and now my entire face is super soft, plumped and balanced. I'd tried everything to help it to recover and this moisturiser was the only product that did the job. The Ceramidin Cream may be too nourishing for you if you have oilier skin, or you usually prefer to use lighter gel formulas. 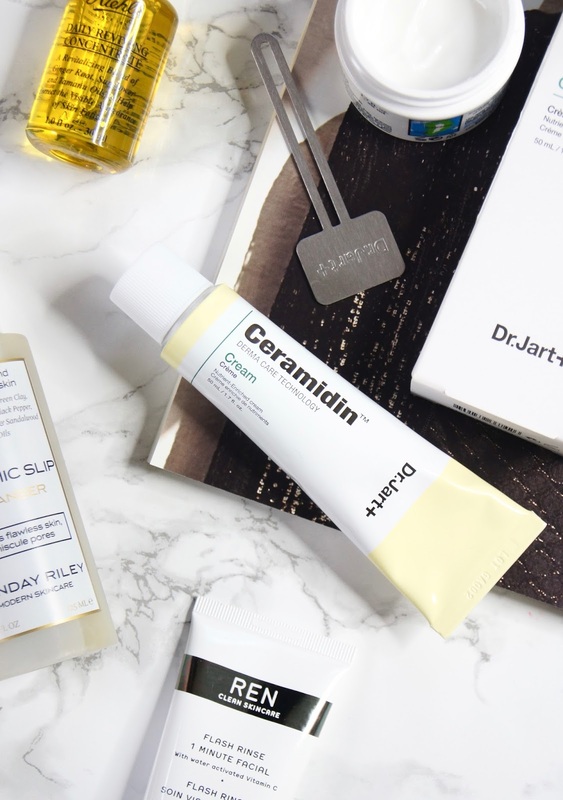 Fortunately, the brand do have other products in the same range that cater for those who don't need quite as much moisture (the Dr Jart+ Ceramidin Gel Cream), and for those that need even more (the Dr Jart+ Ceramidin Oil Balm). Personally, I've been using this moisturiser both during the day and night with no issues whatsoever. The only thing that I don't like about the Ceramidin Cream, is that is does have a lemony, essential oil kind of scent to it. It doesn't linger on the skin, but it is fairly strong. Usually, I avoid heavily-fragranced moisturisers at all costs, but I decided to take a risk with this one and, thankfully, it paid off. However, if you are extremely sensitive to fragrance then you may want to try this cream before you purchase it, if possible. The Dr Jart+ Ceramidin line is available exclusively from Selfridges in the UK and in Sephora elsewhere. At £35.50 for 50ml, the cream sits somewhere between high-street and high-end pricing. Considering how intensely moisturising it is, though, I can see a tube lasting for a long time, especially if you don't use it daily and reserve it only for use when skin is extremely dry. The moisturiser actually comes with a little tool for squeezing out every last drop of product, too. As I've been so enamored with this moisturiser, I've already ordered a back-up of it and the Dr Jart+ Ceramidin Liquid, which is a lightweight serum that you can use either alone, or in conjunction with the moisturiser. I imagine I'll also end up hunting down the rest of the range and many more Dr Jart+ products soon, so expect to see the brand featured a lot more within my content! Have you tried any products from Dr Jart+? I've been meaning to try Ceramidin - it sounds incredible! I have oily skin but I still like a rich restoring moisturiser, especially at night. I just wish I had somewhere I could try it in store first, just in case.